CATTARAUGUS/ALLEGANY TERRITORY – Michael C. Williams, a Seneca Nation Tribal Councilor and long-time figure in the construction industry, has been named president and chief executive officer (CEO) for both Seneca Construction Management Corporation (SCMC) and the recently established 7GENS general construction company. Founded in 2005, SCMC has one billion dollars in current and completed projects on the Seneca Nation territories including all three of the Nation’s Class III casino properties, Seneca Gaming & Entertainment, housing developments, community and recreation centers, Seneca business enterprises, waste water treatment, natural gas and renewable energy projects. SCMC is a Seneca Nation business enterprise chartered only for “on-territory” construction work. 7GENS general construction is a New York State Minority Business Enterprise (MBE) eligible company and one of a few to be ISO 9001:2008 certified. 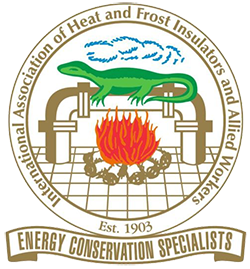 Established as a result of the success of SCMC, 7GENS will self-perform as a general contractor, bidding on “off-territory work,” and specializing in, but not limited to, the areas of mechanical insulation, architectural specialties, fire suppression, fire safing, material supply and paint/wall covering. Williams was an elected Seneca Nation Tribal Councilor from 2006-2010 and then again in 2012 through 2016. As a Nation official he serves on many committees and working groups, notably including work for the Seneca Nation on government relations, on both state and federal levels. He was instrumental in spearheading the Seneca’s delegation efforts to secure passage of the General Welfare Act which was signed by President Obama in 2014. Williams began his career in the construction trades as an ironworker. He steadily assumed supervisory positions for the Holiday Inn Express in Salamanca, Seneca Allegany Casino Parking Garage, and several multi-million dollar initiatives through the Seneca Nation Capital Improvements Authority (CIA) including the Seneca Allegany Hotel Expansion, Seneca Buffalo Creek Casino, Allegany and Cattaraugus Community Centers and the Waste Treatment Plant on the Allegany Territory.  7GENS embraces and embodies the Seven Generation philosophy. It comes from the Great Law of Peace, the founding constitution of the Haudenosaunee (Iroquois) Confederacy of which the Seneca Nation is a founding member. The philosophy means respect – having respect for the land and respecting all that is on it for the seven generations yet to come.